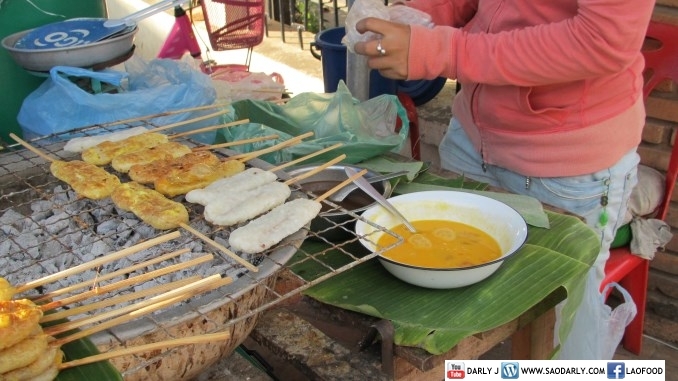 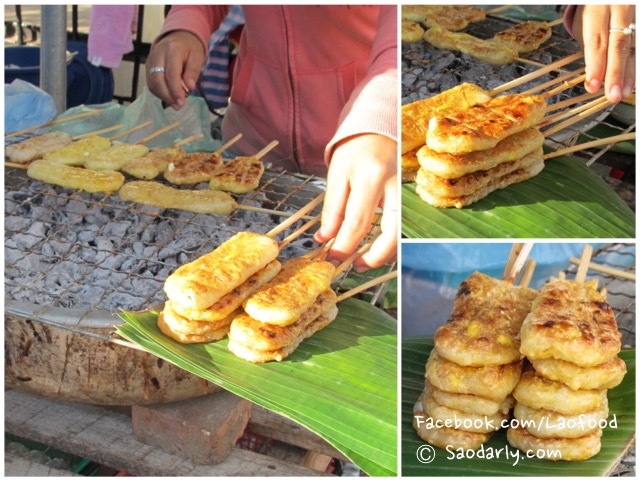 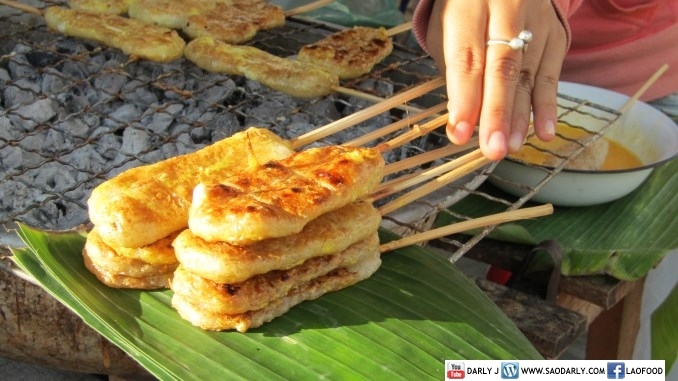 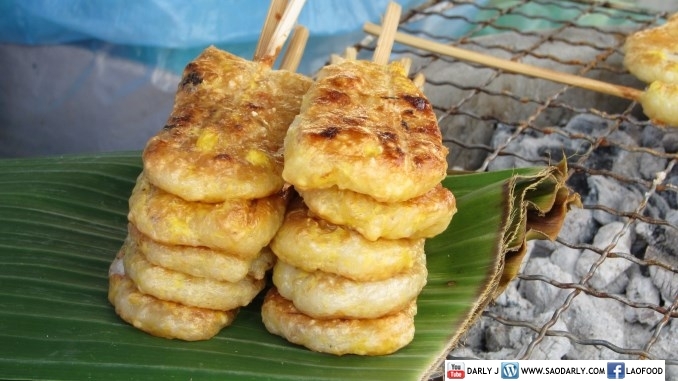 Grilled sticky rice on stick ປິ້ງເຂົ້າ (ຈີ່ເຂົ້າ, ເຂົ້າຈີ່) ທາໄຂ່ກັບປາແດກ (Ping Khao, Jie Khao, Khao Jie) is a good snack to have anytime of the day. 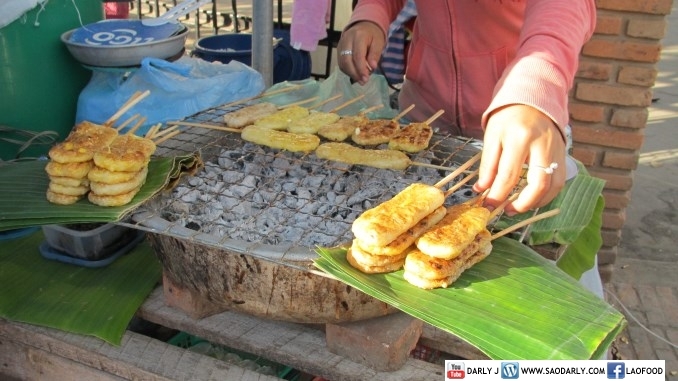 The sticky rice is shaped on to a bamboo stick, then brushed with egg batter and fermented fish sauce (Padek) while on the charcoal grill. 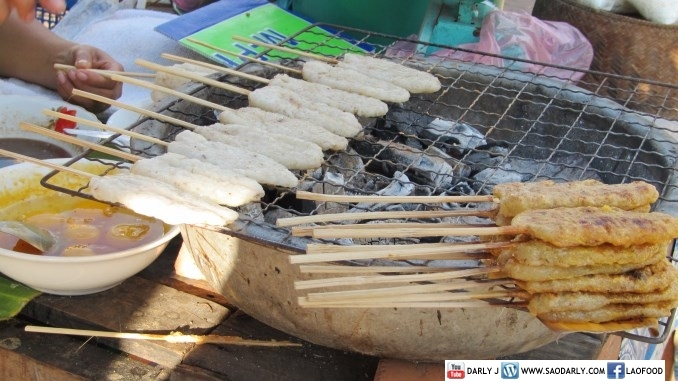 The secret of trade is the quality and taste of the Padek used during the grilling process. 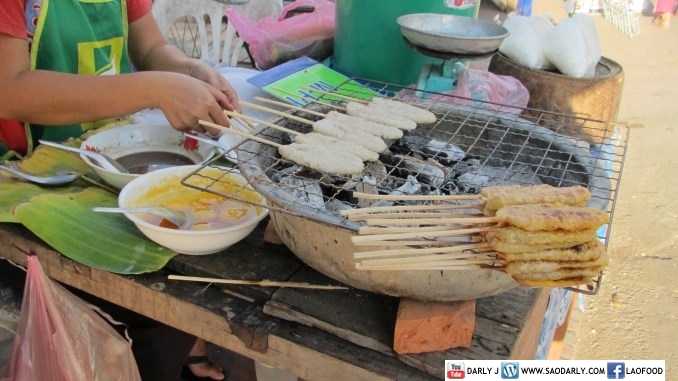 For some kids, this makes a quick and tasty meal either for breakfast, lunch or dinner. 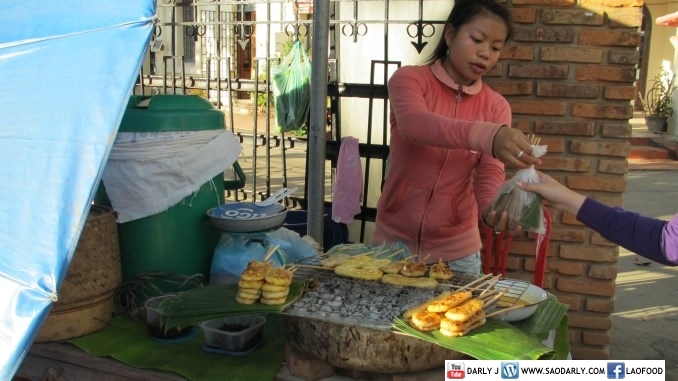 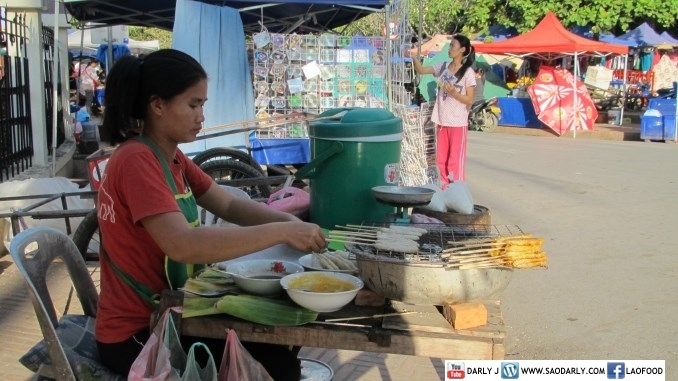 If you are every in Luang Prabang, Laos, be sure to look for these two ladies at the corner of the main intersection in Luang Prabang (right at the gate of Lao Tourism Authority) and give the grilled sticky rice a try.